Four shows, two nights: November 27 and 28. 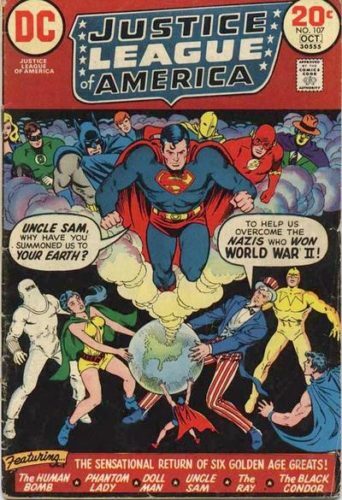 Plus they fight Nazis! This one has a bittersweet edge. Way back in 1973, writer Len Wein brought the superheroes of Quality Comics into DC Comics continuity with Justice League of America #107. The story brought three superteams together, in a story that could only be called “Crisis on Earth X.” The Justice League of America of Earth-1 and the Justice Society of America of Earth-2 traveled to a third Earth, dubbed Earth-X. There, the Nazis had won the second world war, and a stalwart band of heroes were leading the resistance. They were called the Freedom Fighters, led by Uncle Sam, the living embodiment of the spirit of America. The others were The Black Condor, Dollman and Dollgirl, Phantom Lady, the Human Bomb, and the Ray. But more on him later. It was delicious pulpy stuff to feed the imagination, with Earth-2 Superman getting one of the best lines of any superhero: “Ratzi, I don’t know where you’ve been hiding all these years — but I cut my baby teeth on skunks like you! ” You can pick up the story in Crisis on Multiple Earths, vol. 3. Clearly, it helped inspire producer Greg Berlanti and his team that has practically taken over the CW. 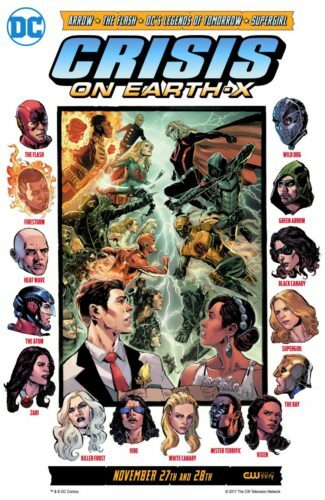 This year’s “Arrowverse” crossover has been announced, and it, too, is called “Crisis on Earth-X,” and will feature DC’s Legends of Tomorrow, The Flash, the cast of Arrow, and Supergirl facing down against evil versions of themselves on a Nazi Earth. Plus… at least one Freedom Fighter. Taking place over two nights instead of last year’s four, Part 1 will air on November 27 and Part 2 concludes the epic on November 28. I’ve already set my recorder. The CW had previously announced an animated webseries for their online channel, CW Seed, similar to what the network had done to introduce Vixen. It looks like we’re getting The Ray in live-action, too, and I could not be more excited. Let us not forget, however, that all this excitement started with Len Wein, 44 years ago. Len passed away two weeks ago, and his impact has never been more vital in popular culture.